By the Enabling Act approved February 22, 1889, the Congress of the United States granted to the State of Montana, for common school support, sections sixteen and thirty-six in every township within the state. Some of these sections had been homesteaded, some were within the boundaries of Indian reservations, and yet others had been otherwise disposed of before passage of the Enabling Act. 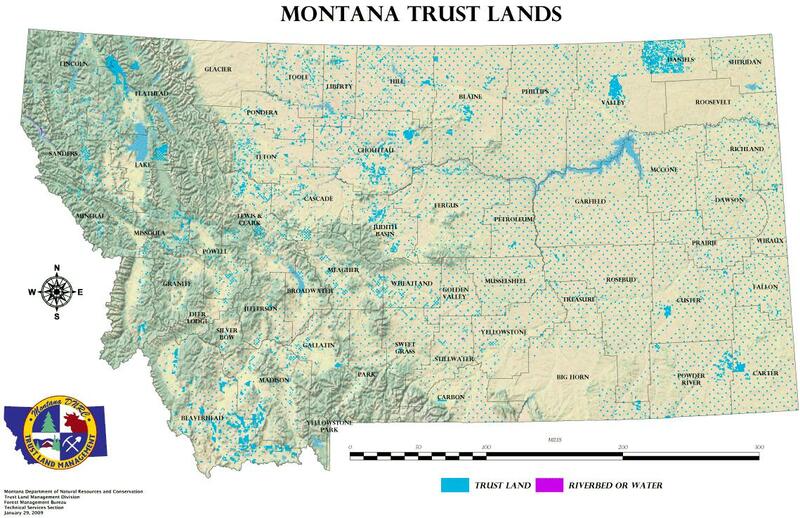 To make up for this loss, and in lieu thereof, other lands were selected by the State of Montana. The Enabling Act and subsequent acts also granted acreage for other educational and state institutions, in addition to the common schools. Surface acreage is approximately 5.2 million acres and mineral acreage exceeds 6.2 million acres for all trusts combined.